Discussion: What are everyone's thoughts of the new Defender concept that is floating around?? 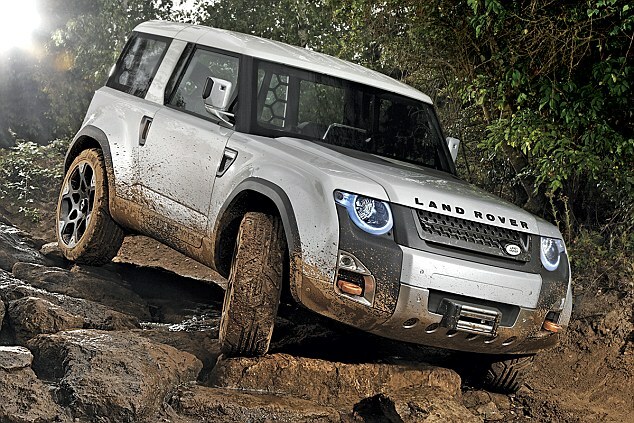 Re: Discussion: What are everyone's thoughts of the new Defender concept that is floating around?? It's very typical of Jaguar Land Rover, to make a really rubbish concept vehicle that everyone hates, but when the production version comes along, its awesome. With the end of Defender production at the end of the year, Jaguar Land Rover have said there will be a replacement in 2018 that will be worthy of the name Defender. *Having an integrated body with a separate chassis as with the Discovery 3, 4, RRS (which is a methods that has worked very well) except the chassis will be manufactured out of Aluminium. *key market components such as sharing the same wheel stud pattern as a Land Cruiser (useful as in, you are in the middle of no-where and you need a wheel nut, or a replacement wheel, and the local servo or workshop has a...... Land Cruiser wheel). *Magna Steyr signs contract to build Land Rovers... "JLR refused to specify when production will start at Magna’s plant in Graz or which vehicles will be built there, saying only that “entire future cars” would be made at the site"
Land Rover are also good at keeping secrets, so I'm doubting there will be any sneak peaks until they are ready to release it. » Darlo game, thoughts anyone?